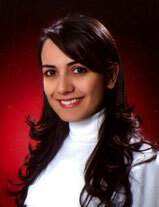 "Aslihan Akdemir is a medical doctor from Turkey. She graduated from Gazi University medical school at 2009. In 2011 she went to USA for medical observership at Brown University, gastroenteroloji department. After that she went to South Korea, Pohang University of Science and Technology, Allergy and Clinical Immunology laboratory, under the supervision of Kim Yoon Keun, MD PhD. Since 2013 she is doing her residency in the pediatrics department, Erciyes University, Kayseri, Turkey. Aslihan is a fellow in Christoph's Klein lab since October 2015. The mission of the research group she is currently part of is to understand basic principles of the blood and immune system by studying rare human inherited disorders. The group wants to unreval genetic etiology of rare diseases and explore their pathophysiological mechanisms using a wide variety of in vitro and in vivo experimental tecniques. The aim is to develop novel therapeutic strategies based on new insights into molecular mechanisms of disease. A particular focus is placed on cell and gene therapy. The group especially focuses on candidate genes in multiprotein complexes, which are releated to severe congential neutropenia (SCN). Mutations in these novel candidate genes lead to neutropenia. Maturation of neutrophils is disturbed, neutrophils do not synthesize the granule proteins which are an important mean of innate host defense. Patients with SCN have a high morbidity and mortality. Patients with this immunodeficiency have to be hospitalized frequently due to infections and they die in early years of life. Since she wants to be an esperance for the orphans of medicine, she decided to be a part of this interesting project."